Turkmenistan has started the detailed preparation to the First Caspian Economic Forum to be held on the 12th of August 2019 in the National Tourist Zone “Avaza.” It is favorably symbolical that the date of this first in the history large Caspian forum coincides with the Day of the Caspian Sea. The implementation of measures on preparation and hosting the First Caspian Economic Forum unfolds in accordance with the Concept of holding the Forum affirmed by the President of Turkmenistan Gurbanguly Berdimuhamedov. 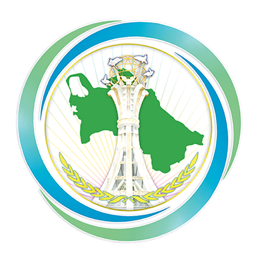 The organizational and analytical work is realized in the Coordination center of the Ministry of Foreign Affairs of Turkmenistan established by the resolution of the Head of State on December 14, 2018 during the Meeting of the state’s government. The first in the history forum of this type in the framework of the largest region in the world, which the Caspian basin happens to be, was initiated by the President of Turkmenistan Gurbanguly Berdimuhamedov during the IV Summit of the Heads of the Caspian states that was held in Astrakhan, the Russian Federation on the 30th September 2014. This initiative is based on the notion that Turkmenistan sees strategical significance of the Caspian Sea in regional and interregional geopolitical and geo-economic processes, including its role as an important transit-transport and logistical tie which promotes the necessity to further unite the efforts on the Caspian states. The development of constructive cooperation with the Caspian region states has been and remains to be the principle position and in this regard is among the priority vectors of foreign policy course of Turkmenistan. The initiative of the Leader of Turkmenistan has found significantly new content in his address during the V Summit of the Heads of the Caspian states that was held in Aktau city of the Republic of Kazakhstan on the 12th August 2018. Underlining that the five-sided cooperation on the Caspian Sea by large depends on the level of participation of our states in trade, economic and transport processes, the President of Turkmenistan Gurbanguly Berdimuhamedov said that holding the First Economic Forum in 2019 will serve as a proof of all Caspian states’ readiness to consolidate efforts in this regard. In this context the support of the thoughts of President of Turkmenistan Gurbanguly Berdimuhamedov on holding the next Summit of the Heads of the Caspian states and the First Caspian Economic Forum in Turkmenistan turned to be the concrete reflection of high trust of the neighboring countries. Simultaneously this decision assigns deep responsibility for coordinated actions in this Eurasian region, the significance of which goes far beyond its geographic borders in accord with conditions turning it to one of the key centers of the geopolitical and geo-economic processes. The upcoming in the August of the current year the First Caspian Economic Forum serves as one of the preliminary events of strategic appeal in the newest history of Caspian states’ mutual relations, prescribed by the functioning of such significant international legal document, which the Convention on the Legal Status of the Caspian Sea signed on the 12th of August 2018 happens to be. As is known, this founding international legal document which summarizes the results of long-term negotiation process of littoral Caspian states promises to open wide opportunities for realization of new investment projects in the Caspian region. According to the conceptual vision of the organizers, the Agenda of the First Caspian Economic Forum will encompass wide range of issues which will further form the base for prospective directions of cooperation of states participants. It is planned that during the exchange of views and constructive negotiations actual subjects concerning the intensification of trade and economic relations including creation of conditions for development and implementation of large projects will be proposed. It is awaited that there will be interesting discussions on the role of economy of the Caspian region in global context, including the increase of growth factors for investment motivation in the spheres of industry, energy, trade, tourism and other sectors of economies of Caspian states posing mutual interest. The platform of the First Caspian Economic Forum will provide for practical exchange of views on implementation of the Intergovernmental Agreement between the Caspian states on trade and economic cooperation and Intergovernmental Agreement between the Caspian states on cooperation in the transport sphere. As is known, these multilateral documents were signed on the 12th of August 2018 as a result of the V Summit of the Heads of the Caspian states. In the Coordination center on preparation and conducting the First Caspian Economic Forum, along with the main events, programs of the International Conference and Caspian Exhibition of Innovative Technologies are being designed. Alongside, forming of favorable conditions for fruitful meetings and negotiations in the sidelines of the Forum between the government representatives, as well as business circles and companies are projected. Delegations of the Caspian states, including heads and members of governments, heads of seaside regions and heads of regional executive management agencies, representatives of the banking sector and business circles of the Caspian region as well as stakeholder countries, scientific workers, and company managers realizing activities in the Caspian Sea are invited to participate to the Forum. Delegations of other stakeholder parties, firstly the states in close proximity to the Caspian region as well as representatives of international economic and financial organizations are also invited to the Forum. The upcoming event is aimed to give strong prudent impulse to the economic, trade and investment cooperation on the Caspian Sea and nearby regions, transforming the Caspian region into one of the largest transport and transit bonds of international scope playing vital role in forming new geo-economic space in Eurasia which is able to meet the modern global tendencies. Being the initiator and organizer of the First Caspian Economic Forum, Turkmenistan proves in practice its adherence to the policy of wide international cooperation in the Caspian region, turning it to the area of peace, security and stable development.